"Michael Burke is a pleasure to work with. We planned on selling our home after 34 years, and we're very anxious concerning the whole procedure. Michael just made every step so easy and all went so smooth. He was very professional and kept us up to date with all the details. I will recommend Michael Burke to all family and friends." "We called Michael when we were interested in selling our home in January 2017. He told us his average home sold within a month. He brought a binder of data with him about home sales at our first meeting. We had a lot of deferred maintenance so needed to get our home in resale shape. Michael went to each and every room and gave us a list of what needed to be done. We completed everything on the list. He brought in a professional stager, who really helped us with showing the home in its best light and a photographer who made beautiful flyers for the showing. Due to his internal networking he actually had an interested buyer for us before the For Sale sign even went up. In any event, true to his word, our home was sold within three weeks at the price we were asking and even had an offer over the asking price ( unfortunately had a contingency so we didn't accept it). Michael is very hard-working, responsive, and really looks out for the best interest of his clients. I had no idea how much actually went into selling a house and was very glad to have a professional like him in my corner with all the resources that he brought with him. I would highly recommend him. "Selecting a real estate professional to represent me in the sale of my home was a major decision. After 30 years of mortgage payments and home improvements I was looking for a professional who could help me realize the best possible return on my investment. Michael Burke was the right choice. Michael listened closely to my needs, developed a plan with his team specific to my home, and then implemented the plan. It required that we invest in certain improvements and that we follow the recommendations of his team but it was all worth it. After seven days on the market Michael presented three offers at and above the asking price." "If you are looking for a real estate agent Michael Burke is the man for you. He sold my house in four days getting more than we asked. He is extremely professional, personable, and detailed oriented. He staged my home to sell using a dynamic team consisting of not just him but a professional stager and photographer as well. His sales results speak for himself. You won't be disappointed." "Michael worked with me through the purchase of a new home and sale of my existing home. He quickly learned what I wanted and found it for me in a few days. He directed me in what I needed to do to sell my existing home and it sold very quickly for very close to my asking price when we listed it." "Home sale is a daunting ordeal and Mike made it very seamless. For every small detail that came up Mike had an answer or got one at the earliest. I will definitely recommend him to all my friends and family." "Michael Burke is a wonderful person and a wonderful person to work with. Mike was just awesome throughout the whole process of buying my home. I've already recommended him to someone. He was just wonderful!!!!!!!!! The home he helped me pick out me and my family could not be happier!!!!!!!!!!!!!" "We made the absolute right choice in selecting Michael Burke to sell our Loch Lea home! His personal attention, professionalism, and communication of what buyers expect in our price range were keys in getting our home sold quickly. This has been the best real estate experience we have ever had!" "My experience with Michael Burke was simply outstanding. My wife and I were looking to downsize to a smaller home in a very limited geographical area. Michael worked with us on a very personal basis and helped us to understand what we really wanted. At one point, Michael even told us that "You might decide to buy this house, but I will not sell it to you."! Micheal is knowledgeable and always available. he would always show up on short notice and take us to see potential homes. It was his local area knowledge and networking that enabled us to purchase our new home. We simply could not have done this without him. I have been watching the listing since our offer was accepted and there has still not been another home like the one Michael found!" "Our home buying experiences with Michael began a few years ago with the sale & purchase of a home. All went very smoothly and Michael's knowledge base of the area, diligence, and attention to detail made those transactions worry free. Fast forward a few years, Michael again was our first choice to get us into the house of our dreams and to sell our home once again. Michael was somehow able to always be one step ahead and ultimately see us through another sale and purchase. When the process seemed daunting, Michael was the eternal optimist and reassured us that everything would work out. He also sold our home within hours of listing. From market analysis, contract negotiations, and doing literally whatever it took to get both deals done, Michael was outstanding in terms of his ability to make it happen !! We felt like family and like we were his only client. Highly recommend this agent and friend for your next real estate transaction. He is truly the BEST realtor in WNY !!!" "Michael was the third realtor that I interviewed to sell my late father's house. My father was an architect and engineer, and had designed the house, which was the home in which I grew up. As I showed Michael the house I began to realize that there was something different about him. His questions and comments revealed considerable attention to detail and also knowledge of materials and construction. More importantly, he listened very closely to the story of my father and the house, and therefore could relate to what I was going through on a personal level, and also understand what I wanted for the property's future. Choosing Michael was the best decision I could have made. His marketing strategy was excellent - he hired a home staging consultant who provided many useful recommendations, and a professional photographer who came up with beautiful pictures, and had all of us prepare for a single open house. The open house must have attracted a record attendance for western New York, and generated multiple offers, all but one of which were above asking price. Needless to say, the entire experience and the final sale exceeded my expectations." "Thank you Michael for providing me with your wealth of knowledge in putting together a go-to-market strategy and selling the house in just two days! I couldn't have asked for anything more! You provided me with all right recommendations, starting with help in removing the house from flood zone to making all optimal enhancements to the property that brought the best possible price that I was hoping for. Your commitment to quality and timeliness in action has really paid off. It was an important step for me to move on to other things in my life!!! Thank you again and wish you the best!!" "After several efforts in trying to sell our home, we were a bit disheartened and not sure what direction to take. The house is an amazing, unique property with many perks, it didn't make sense. Neighbors strongly recommended Michael Burke. They espoused his honesty and integrity. On they went saying he really knows his marketplace and will represent the home on a professional level. As it turned out, that was an understatement. Michael is not only professional, but hardworking and willing to make the upfront investment to come onto the market with a splash. He knows how to stage and represent a home. Michael also is very respectful of the effort it takes on the part of a homeowner. He takes the time to thoroughly qualify any perspective buyer to assure the match. Wow....what a phenomenal way to go. 9 days, multiple offers. Great advice, great results. Thank you Michael Burke!!!!" "Michael, you are a true professional. This entire experience can be so overwhelming and you walked us through every step of the way from selling our home, believing in us, our vision for a new home and all the business details in between. Your expertise in this field is outstanding and your patience is commendable. Thank you Michael. It was our pleasure working with you. You were always there for us." "Michael Burke was marvelous. Every detail taken care of professionally and completely. He is masterful in knowing how to make a house look its best. We feel his use of a home staging consultant and professional photographer really made a difference in the quickness and price of our sale. He is also personable and wonderful to work with. We would definitely work with him again." "We had the pleasure of working with Michael Burke for the sale of our previous home and the purchase of our existing home. It is a challenge to be concise in describing all Michael has done for our family. Michael has the unique ability to make us feel as if we were his only client. He is a true professional who cares very much for the clients he serves and delivers on everything he commits to. We recommend Michael to anyone buying or selling a home!" "Michael gets it. This is a career for him, not a job. He focuses on continuing education, learning current market trends, house staging, and everything else involved with real estate. As a self-employed person, I spend countless hours learning my craft and just trying to be the best at what I do. I believe it is the best way, long term, to have a successful career. Michael does the same, which is why I can appreciate his business. I've encountered many other agents so involved with advertising and recognition; they ignore the fact that being the best at what you do is the most effective advertising. My father and I have a real estate investment business, and it is safe to say Michael is a vital part of why we are successful at finding the right homes. Highly recommended Michael for a true professional." "After spending more than two years trying to sell our house, we thought it would never sell. We contacted Michael Burke for one last try with a new realtor. Several of his past clients highly recommended him. What a difference!! Michael actually had a marketing plan that worked. He clearly defined a process to follow that included some effort on our part to stage the house. He really went to work, bringing in top notch advisors and actively marketing the property. His pricing advice and negotiation skills were spot on. The results speak for themselves. The house sold in 16 days (exactly Michael Burke's average at the time) and within 2% of our advertised price. Michael stayed with the sale advising us every step of the way through closing. We are extremely happy. Thank you, Michael." "All we I can say is WOW! We were very impressed with Michael Burke's professionalism, personal attention, and marketing strategies. Michael is a first class, high caliber, real estate professional. We received his personal attention almost on a daily basis. He was always available for questions, and made us feel like we were his only client. He is gifted, talented and knows his market. Our home sold within 12 days and we found our dream home within one week. We were totally impressed and would recommend Michael to anyone who wants to sell their home quickly and not leave money on the table." "After having my home on the market for six months and not receiving any offers, I decided to switch my home sale over to Michael Burke. Michael immediately provided his professional opinion on what was needed to sell my house. Not only did he have a lot of people going through the house but I also got an offer after a short time. I was very impressed with the job Michael had done. If I ever sell or buy a house again, I will be contacting Michael Burke!" "The service and personal attention I received from Michael Burke was exceptional. He is truly a high-caliber professional and his knowledge of the local market and negotiating skills were key in ensuring that I received the best offer for my home. Regardless of whether you are buying or selling, I would highly recommend Michael. I could not have asked for a better Realtor to facilitate the process of selling my home." "From the minute we met Michael Burke, we knew that he was the real estate agent for our job. His professionalism, preparedness, communication skills, marketing plan, and track record speak for themselves. We interviewed 3 Realtors and it was amazing the differing levels of service available in the real estate industry. We would recommend Michael to anyone for their real estate needs." "We couldn't be more pleased with Mike's service and attention to detail. Mike delivers from the beginning to the end with ideas, professionalism, and most important – results. Our house sold in less than one week for full asking price. He was a true professional throughout the entire process." "After interviewing six Realtors, we decided that Michael was the right professional for our job. His marketing strategy was outstanding. A true real estate professional with the knowledge and expert advice that culminated in a quick sale of our home at a fair market price. Above and beyond does not begin to express the service Michael provides for his clients." "I can't thank you enough for selling my Townhouse. After having two different agents represent me and it being on the market for almost 2 years I was fortunate enough to have someone recommend you. You told me exactly what to do to stage it properly and it sold within 30 days." "I had a wonderful experience purchasing my new home in Amherst. You were so attentive to my needs, very patient and always available when I had a question. I would definitely recommend you to anyone in the future, looking to buy a home." "Working with you during the process of selling our home was an upbeat, highly professional experience. We were amazed at how quickly the sale happened, and at our asking price, which was right on target with the market research you presented. The attention to detail and added touches you suggested added to the successful sale." "Thank you, thank you, thank you, for your warm, personal and professional manner in which you handled the sale of my home in just 10 days! You were always available to take my calls and handled all questions to ease my fears. Great job to you and the great team you work with." "Thank you so much for helping us find the perfect house. You were so helpful and patient every step of the way. We love it here and will be happy for years." "Just a note to let you know how much we appreciate your handling of the sale of our house. We've heard a lot of horror stories about problems arising during real estate transactions, however your efficient coordinating of our sale was timely and without a hitch. We sat back and let you do all the worrying for us. Your professional approach to our sale made things go well. We were new to the use of home staging, however you made believers of us. We would not hesitate to recommend you to anyone." "Thank you for your professional efforts in selling my house. You have given added meaning to organization, timeliness and flexibility. Your style and process should be a benchmark for a lot of other Realtors. You are easy to work with and along side." "Michael, we really do appreciate your follow through. You have made the closing process stress free for us. Your customer service is just impeccable & we would highly recommend you to anyone who is thinking about selling their home." "Thank you again for the tremendous job you did in finding us a house and making sure it closed as scheduled. The circumstances were very difficult and we greatly appreciate your tenacity in dealing with the sellers." "Thank you so very much for all the hard work you put into helping us acquire our home. Your professionalism throughout and your attention to all details were outstanding. It was a sincere pleasure doing business with you." "Thank you so much for all your hard work in getting our mother's home sold so quickly." "We were so pleased at how quickly you sold our home, and at full asking price! Thank you so much for your expertise and professionalism." "Michael, I can't thank you enough for the time and dedication you gave me during the sale of my property. I was extremely impressed with the way you advertised the property and made it your top priority. You have raised-the-bar for others in your field with your outstanding professionalism. I highly recommend you to others and will always come back to you for any of my real estate needs." "Michael Burke exuded professionalism from our first meeting to the last, culminating in the sale of my Mom's home, within 1 week! He came prepared with information on the sales of homes in the area as well as information on Mom's house. I think Michael went the extra mile in all matters concerning the presentation and sale of the house." "Thanks for all the time and effort you put into helping us find our new home. Without your diligence we may not have closed on schedule. Just when we thought it would be impossible, you pulled out all the stops and made it happen! Your work ethic is evident in the way you conduct business. It was a pleasure working with you." "Thank you for all your help with the purchase of my first home! It's a very exciting time and process, and your help made it very easy." "Hunt is very fortunate to have a sincere, ambitious, and trusting associate with impeccable character." "Michael, we were so surprised at how you sold our home in five days and for higher than the listing price! Thank you for everything you did for us." "We were first time home buyers and had no idea of the steps to take in purchasing our first home. Every step was explained by Michael ahead of time. Michael Burke was there when we looked at our first property and continues to be there a month after moving into our new home." "Michael, I want to thank you for your outstanding work and salesmanship in the sale of my home. Your professionalism showed through, right from the beginning. I would always feel comfortable referring you." "Working with Michael was a pleasure. By promptly returning phone calls and e-mails he made the home buying experience quite simple for me. He kept me informed every step of the way from searching listings to making an offer on my new home. I highly recommend Michael for your next real estate transaction." "Thank you for your help and suggestions that greatly speeded up the process of selling our home. We can't believe it sold in less than a week! We would highly recommend your services to anyone moving. You acted in a highly professional and informative manner and it was great getting to know you." "Thank you for finding us a truly beautiful home at a fantastic price. You are a great agent and it is a pleasure to work with you." 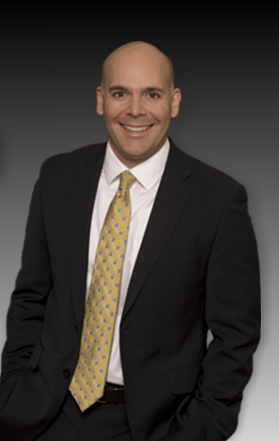 "We felt very fortunate to work with Michael Burke on our recent Real Estate transaction. From the beginning of our moving process to the end, Michael was a professional, efficient agent. All aspects of selling and purchasing were explained with precise detail. Michael used a variety of resources to advertise our home which led to a sale in three short days! He was also keenly aware of our needs and subsequently found our new home in the same amount of time. The entire closing process went very smoothly. We found ourselves in a new home in less than two months. It is no wonder that Michael recently became a member of the prestigious Key Club of Hunt Real Estate. His ambition represents the best of Western New York real estate agents. Michael symbolizes the integrity and commitment that are vital to his profession." Copyright ©2011 Michael Burke, Licensed Associate Real Estate Broker, HUNT ERA. All Rights Reserved.